During EA’s fourth quarter call to investors briefing last night, the publisher confirmed that a new Battlefront title is in development for release in 2017. Though very little details were shared, EA CFO Blake Jorgensen did confirm that the sequel will have “bigger and better worlds.” Another interesting tidbit confirmed by Jorgensen is the fact that the game will also feature content “from the new movies.” This reiterates comments he made during EA’s call to investors in January. The CFO did not elaborate what he meant with “the new movies,” though it’s not hard to imagine he was referring to the Episode 7 and beyond. 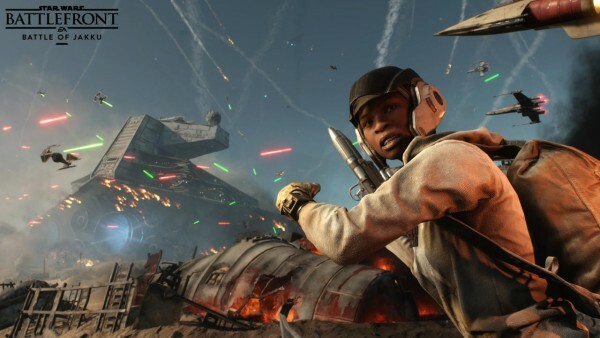 Last year’s Battlefront was only limited to the original trilogy, something that disappointed many fans. Though the game did get a map set in Jakku, a new planet that debuted with The Force Awakens, it mostly stuck to original trilogy content. Battlefront 2 is due for release sometime in 2017.